The reflections are nice, of course, but what I really like about this photo are the many lines and the brilliant red truck in an otherwise muted photo. Great! 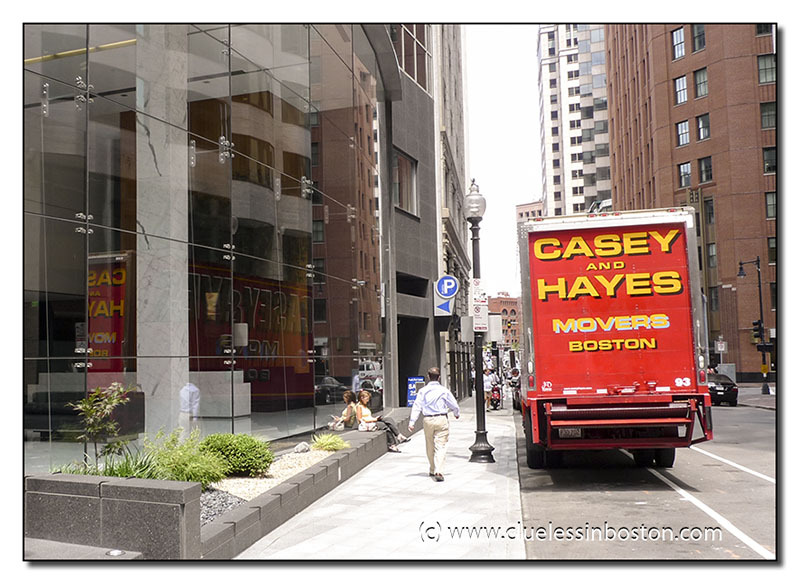 With a moving van that colour everyone's going to remember Casey & Hayes, nice reflections!